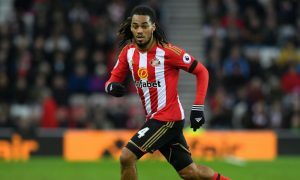 Galatasaray want to make the loan move of Jason Denayer from Manchester City permanent, but are unwilling to meet the Blues’ asking price. Denayer, 22, is not only attracting interest from the Turkish champions, where he enjoyed a second loan spell, but also Borussia Mönchengladbach, Girona, Lyon and ­Marseille, all of whom are keen to sign the City defender. That would appear to put City in a strong negotiating position, but according to Akşam, the Turks do not want to meet City’s asking price of €10million (£8.8million). Galatasaray hope that Denayer’s interest in returning to the Türk Telekom Stadium will pay off and are willing to play the waiting game to secure the 8-cap Belgium international. Denayer, who is under contract at the Etihad Stadium, made 22 appearances in the Turkish Süper Lig in the 2017-18 season.